There were a number of Swiss neutrality scandals during the war, when certain people within Switzerland were found to have been favouring one side or the other. One of the worst was the “two colonels” affair. 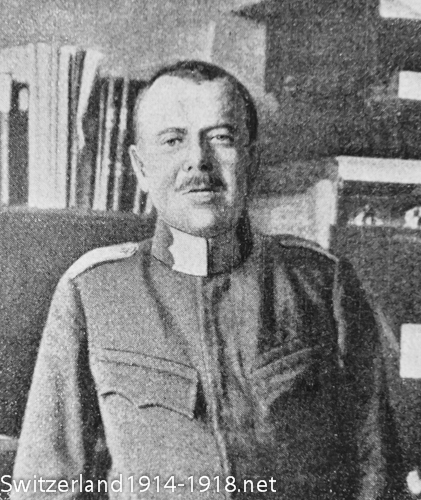 In February 1916, two senior Swiss intelligence officers were found to have been passing copies of intelligence reports and other sensitive material to the German and Austrian military attaches in Switzerland for nearly a year. This included signals sent between foreign embassies in Switzerland and their home governments, which the Swiss had intercepted. The two officers defended themselves by saying that no secret information had been given away, and that information had been received from the Central Powers in return. Although they were sacked, they received no other punishment. Above: The "two colonels", Carl Egli (left) and Maurice de Wattenwyl. Being neutral, Switzerland was also a place where exiles could go. 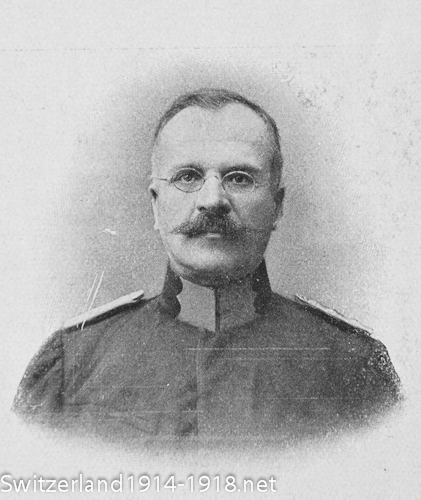 Czech and Lithuanian national councils were established in Switzerland during the war. In 1914, both these countries were part of a larger empire (Austria-Hungary and Russia respectively) and these national councils sought independence. King Constantine of Greece went into exile in Switzerland in June 1917. Switzerland sheltered leading socialists, including Lenin and Trotsky. The famous ‘sealed train’ on which Lenin and other Bolsheviks travelled through Germany to Russia, where they were later to start the Bolshevik Revolution, began its journey in the Swiss city of Zürich on 8 April 1917. After the Great War, the Austrian Imperial family fled to Switzerland. 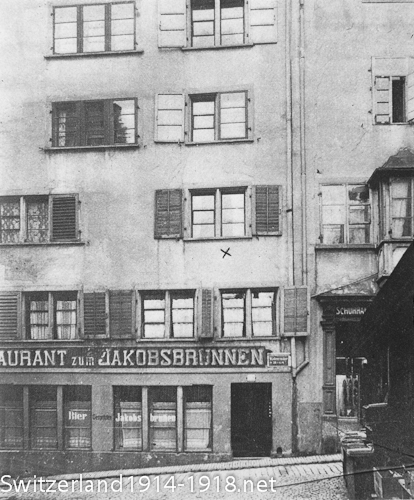 Lenin's last home in Switzerland before returning to Russia, at 14 Spiegelgasse, Zurich. His room on the second floor is marked with an 'x'. Click here to return to the overview page on wartime Switzerland.